…everything colleges and universities don’t prepare you for. Because in the workplace there’s no test, but you can still fail. In my 20+ years of teaching college-level Spanish language and Spanish for the Professions courses, the question I have most frequently been asked has to be “Is this going to be on the test?” This ubiquitous question encapsulates an important divide between the preparation universities provide to students and what they actually need to be ready for the working world. [Something isn’t going exactly right.] What should I do? Yet I cannot think of any professional context in which those would be appropriate questions. Imagine the new employee charged with putting out a memo to her team. How will her supervisor react when asked how long the memo should be and what font to use? My colleague who specializes in community service-learning, Ann Abbott, is fond of saying that the real world is full of tests. Writing that memo is a test. And if you ask how long it should be, you might have failed it! Spanish students engaged in community service-learning often have to use their language skills in a real world context—for example, answering phones for a local agency that serves immigrants. If you take a call but cannot communicate well enough for the caller to stay on the line, you failed that test. If you take a message with a misspelled first name and a 6-digit phone number, you failed that test. 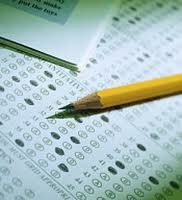 So here’s the bottom line for college students preparing to enter the workforce: the working world is full of tests. But they are never labeled as tests, they are all “pop quizzes,” and asking “is this going to be on the test?” won’t get you anywhere. As universities adjust to the realities of higher education in the 21st century—harsh realities that include less state funding, increased dependence on income-generating models, and high demand for results from students who incur tremendous debt burdens—this divide between what skills & knowledge future employees need and what universities offer will have to be closed. Until that happens, this blog will address many of the issues that fall into the cracks and suggest ways for all of us—students, university faculty, and employers—to smooth the transition from college to the workplace. This entry was posted in Career Advice, Uncategorized. Bookmark the permalink.